After a fresh coat of paint, some minor lighting upgrades and the arrival of my new bed I was prompted to dump some of my junk. In addition to the old books, notes and various knick knacks I also got rid of a small table which had a few things like cd’s, cassettes and vhs tapes piled on it. I wanted to add some extra shelving to my room without utilizing another book case or anything that would take up precious floor space. The answer? Wall mounted shelves. For cool factor I had to get myself some of those uber cool floating shelves. Where the mounting hardware is competely hidden. On top of that they also added to the airy zen/oriental feel, especially in this rich dark brown colour. First you’ll need to find a suitable wall. I was initially going to put these shelves over top my bed. However a) I’d probably at some point in time (most likely multiple times) bump my head on them somehow and b) I will most likely be putting up a large scale art piece and the wall above my bed is perfect for it. As such I decided to use this bare wall opposite my bed and above the existing desk which means it is out of head butting range. Most important thing with putting up these shelves is you definitely want to plan everything out in advance. Have a vision for how you’d like your entire room to look before just slapping these things up here and there. Unless you enjoy patching holes these shelves put quite a few in your wall. Once you’re set mark out where the bracket should go. The most important thing when putting anything on your walls whether it is as simple as a picture frame or floating shelves – MAKE SURE IT’S LEVEL! Make sure you trust your level as well. For example when I was putting up these shelves the shadows made it appear that even though the level showed the bubble dead centre, my shelf to the human eye looked unlevel. Once you have all your screw locations marked out then it’s time to drill your holes. Depending on the material your wall is constructed from you may need to predrill or you may simply be able to screw the screws in and mount the bracket immediately. 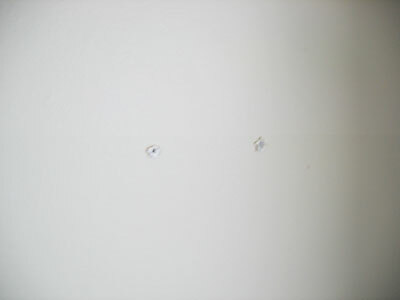 If your wall is like mine and is drywall, make sure you drill out the screw hole and insert a drywall anchor before mounting your shelf. 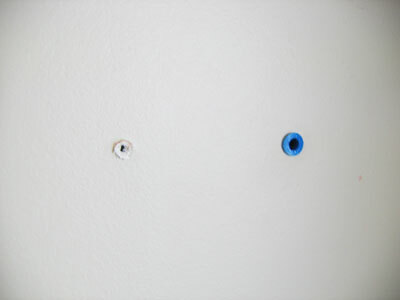 Unless you happened to align your hole with a stud in the wall. Either way make sure your shelf is fastened properly to the wall so that it won’t pull out. Once you’ve got that all set then you’re good to go. 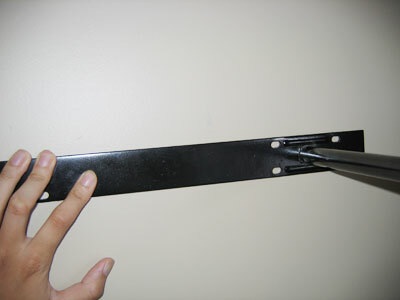 Mount the hardware and slide the shelf onto the bracket. 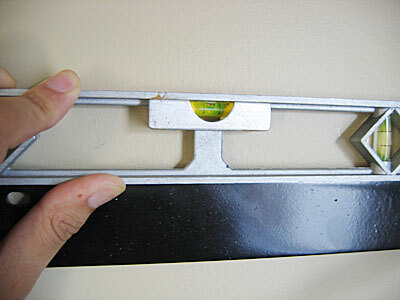 Make sure your shelf is properly fastened to the mounting bracket so that it doesn’t slide off accidentally. Also make sure the things you place on your shelves don’t exceed the maximum weight rating. Unless you really enjoy patching large holes in your drywall. 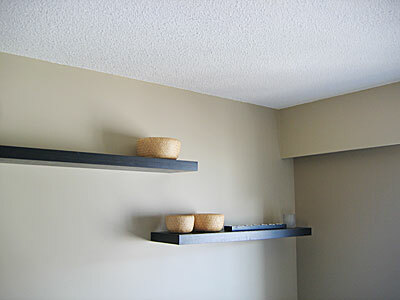 Floating shelves are definitely a wonderful addition to any room I think. Both decorative and functional at the same time compared to traditional shelving solutions.